Sassy's Café & Bakery Owner, Melody Larsen, took the baking world by storm as a finalist on Food Network's Season 2 of the Holiday Baking Championship. Melody won more individual challenges than any other contestant and was a fan favorite of many viewers of the show. Melody's baking was repeatedly praised by Judges as simply "The best". 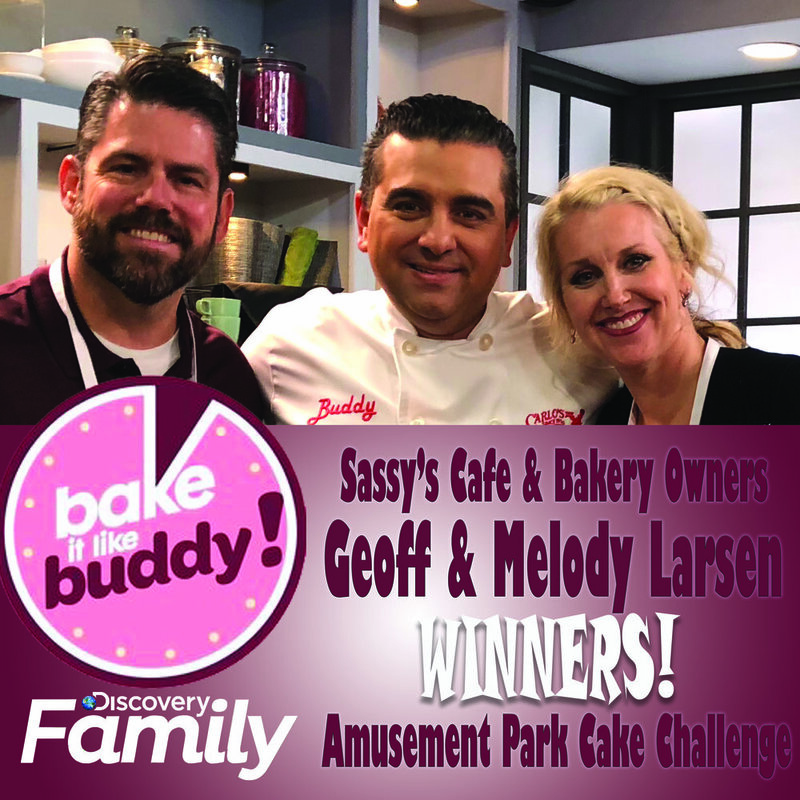 Husband and Wife Baking Team Geoff & Melody Larsen impressed Buddy Valastro “THE CAKE BOSS” on Discovery Family Channel’s hit series “Bake it Like Buddy” by winning the Amusement Park Theme Cake Challenge. The couple’s 5 tier cake featured an active volcano roll coaster, a working ferris wheel and many other elements that secured the victory! Owners Geoff & Melody Larsen have been featured in Studio and on location on nearly every Phoenix Metro News Station ( 3TV Good Morning Arizona, NBC12 Arizona Midday, CBS 15 Sonoran Living, Fox10 Arizona Morning and much more). Melody & Geoff appear regularly in cooking / baking segments demonstrating their culinary skills and hacks.